The recent Ashley Madison hack doesn’t just have divorce attorneys and spouses scrambling. Federal, municipal and plenty of private sector employers are all on high alert. And they should be. Dark Web ID by Winvale identified nearly 16,000 email addresses of Ashley Madison customers who used their federal email accounts ending in .mil, .us, .fed and .gov. This latest hack illustrates that companies — and federal agencies — have a lot more to be worried about than just a little embarrassment. Dark Web ID is one of the leading experts on identifying records like these on the dark web. We understand how critical it is to be on high alert for external threats. While many organizations focus on internal threats and rely on patching and scanning to keep others out, that can often be too late. Dark Web ID is a simple cyber security dashboard that provides pre-emptive external monitoring of a network’s registered online credentials. The goal is to provide human and artificial intelligence to help organizations better manage cyber exposure and mitigate risks. How? Dark Web ID looks for breached data in the depths of the dark web of the Internet —exactly where the Ashley Madison records are released. The platform identifies compromised data before it can be used to penetrate an entire system. It then alerts you in real time when your organization’s breached email accounts and IP addresses are published and exposed so that you can take focused countermeasures to protect your organization. Dark Web ID monitors more than 640,000 botnets, criminal chat rooms, private websites, peer-to-peer networks, IRC (Internet Relay Chat) Channels, social media networks and other black market sites. We identify more than 1 million compromised IP addresses and more than 80,000 compromised emails every day. To date we have identified more than 300 million compromised records. 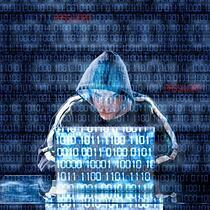 The average cost of a data breach is $5.5 million, according to the Ponemon Institute. However, many recent breaches will approach three and four times that cost. With those numbers and the loss of public trust that accompanies a large-scale breach, most companies cannot afford to wait for another scandal.